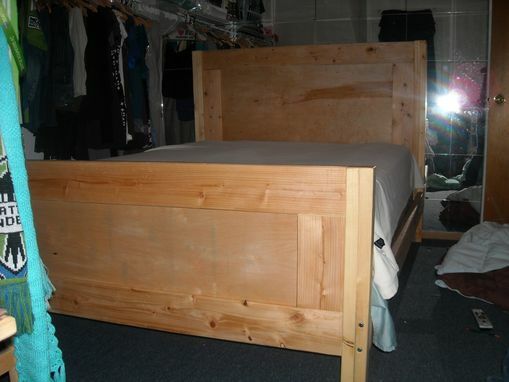 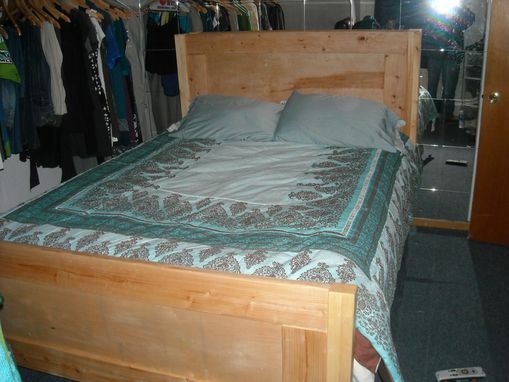 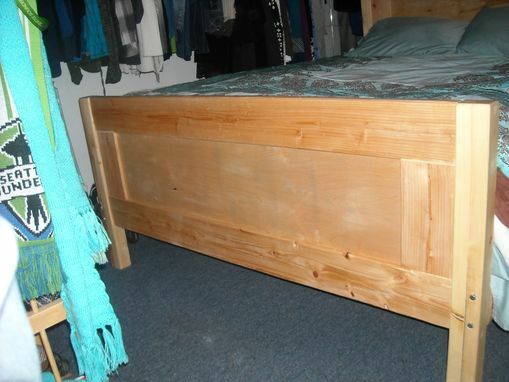 This bed is made from construction grade pine which was milled down to produce a smooth finish. 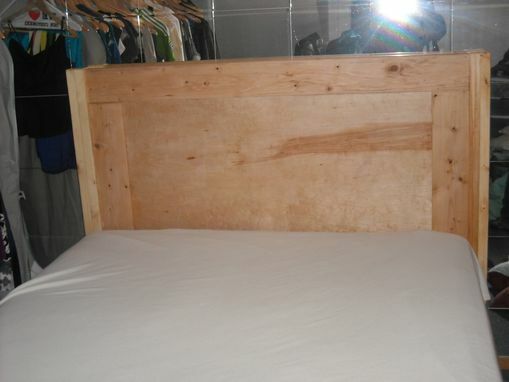 It was made with sustainability in mind so it is made from the most readily available materials. 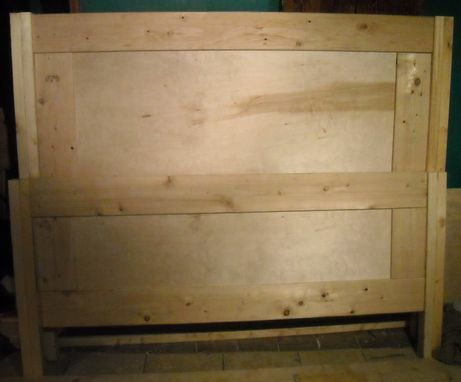 The rails are joined with mortise and stub tenon joints to facilitate the installation of the lag bolts holding it together. 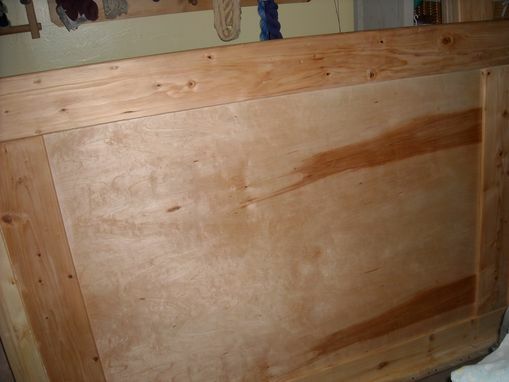 The bed is treated with a combination of linseed oil and paste wax to give it a natural finish. 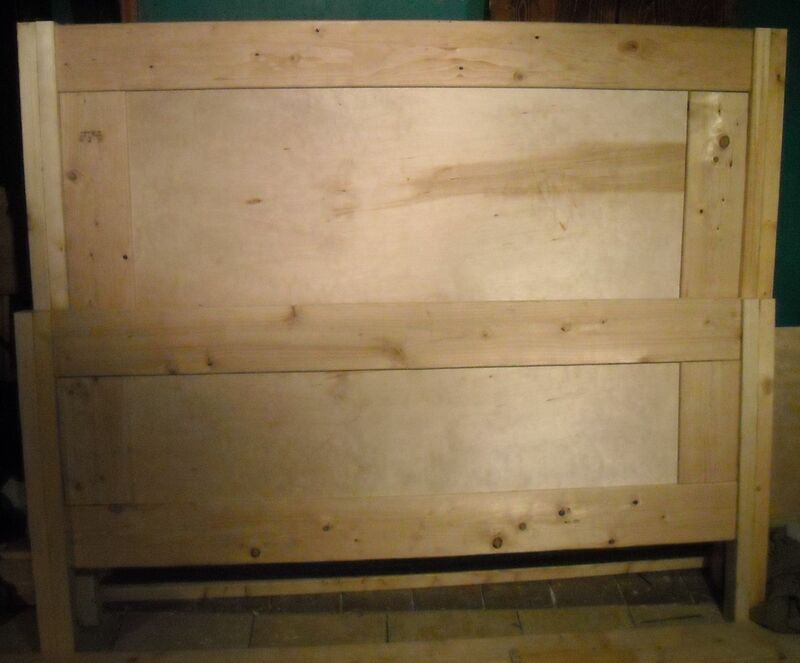 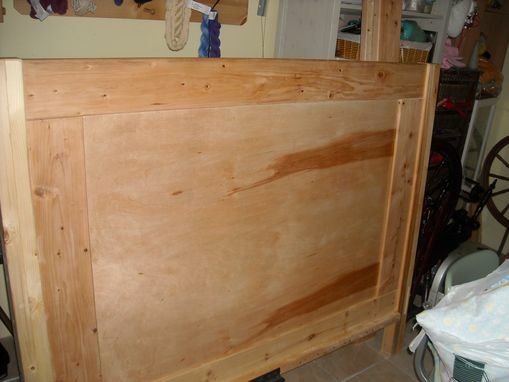 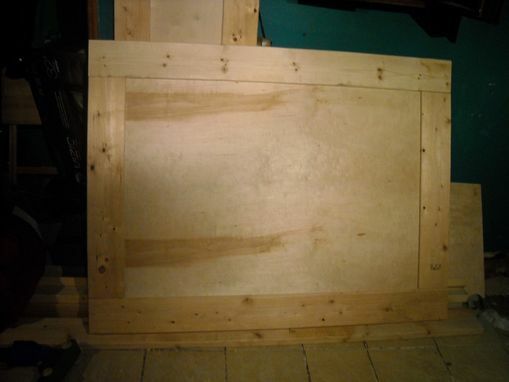 Dimensions: The headboard is approximately 50 inches high with the footboard about 30 inches tall. 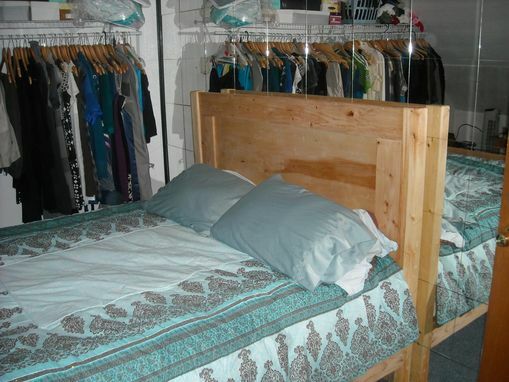 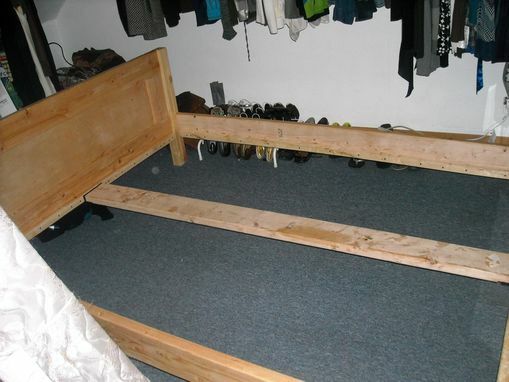 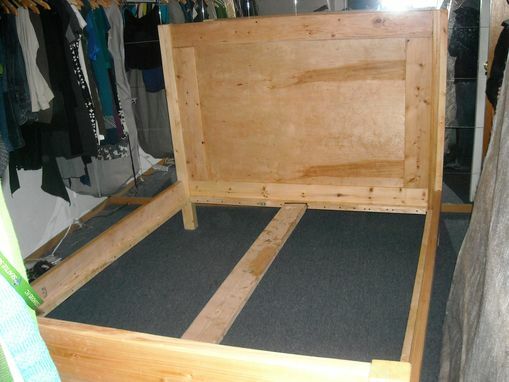 The mattress and box spring are 8 inches off the ground to allow storage underneath.